Okoawo BlueGate: Edo State Property Tax Law: Who is the Law Meant For? Edo State Property Tax Law: Who is the Law Meant For? This evening on our local Television news, the comrade governor of Edo State, Adams Oshiohmole, while addressing some group of landlords in Benin City over the newly introduced Property Tax Law, said that the focus is to tax property owners in the G. R. A areas. He threatened to jail anybody who defaults in complying with the law , in addition, seize such erring landlord's property and turn it to government's own. It would be recalled that earlier on, during the passage of the property tax bill to make it a law by the Edo State house of Assembly, Hon. Phllip Shaibu had singled out the Esama of Benin, Sir Gabriel Igbinedion, as one of the G.R.A landlords to be used as a test case in the implemetation of the law. What kind of law is made to single out an individual for punishment merely because he is who he is? 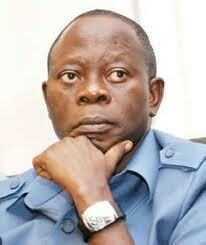 How are we sure that in implementing this law, it will not spread to other parts of Edo State? Where does G.R.A starts and End? Some Areas in Irhirhi and even Ugbor have often be referred to as G.R.A. Are the landlords here exempted?